If the first single is any indication, SuperHeavy has a lot of potential for hotness. 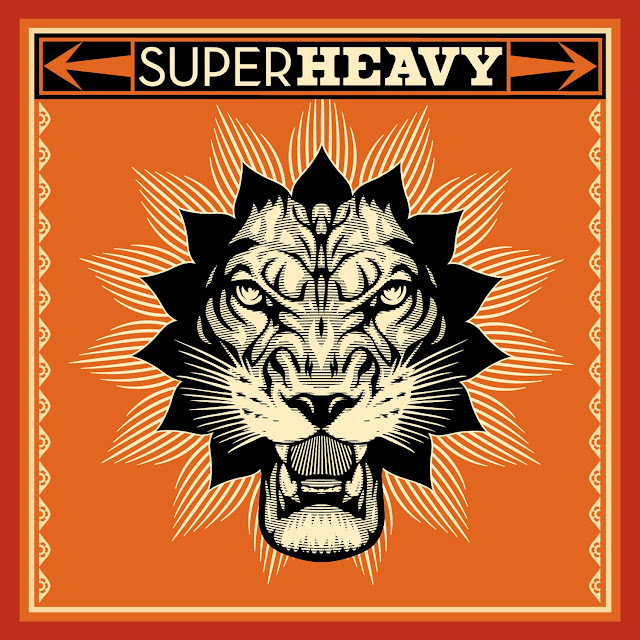 In case you haven't heard by now, SuperHeavy is a SUPERGROUP made up of Mick Jagger, Joss Stone, Dave Stewart, Damian Marley and A.R. Rahman. Quite the lineup, no? According to Jagger in an interview with Rolling Stone: "We wanted a convergence of different musical styles," says Jagger. "We were always overlapping styles, but they were nevertheless separate." For the most part I think "Miracle Worker," the group's first effort, meets their expectations. While the song is a bit reggae-heavy, it's nice to see such a diverse group of artists come together for music's sake. Despite seeming like it was thrown together yesterday, SuperHeavy has been in the works since early 2009, when the gang started "experimenting" and recording at Jim Henson Studios in LA. Not thrown together at all, it would seem. In fact, according to an article in the Daily Mail the band recorded nearly 35 hours of music during that session. Impressive! Of course, 35 hours had to be shrunken down to something that would fit on an album but still! That's quite the undertaking. This makes me really excited to hear what else the band came up with! Speaking of brand new music, the second single from SuperHeavy's debut has been announced as "Satyameva Jayate" Sanskrit for "truth alone triumphs," which apparently is the motto of India, even showing up embossed on the country's national emblem. Composed by A.R. Rahman, the single was released in India only on August 9th and features Mick Jagger actually singing in Sanskrit, with the rest of the group doing their parts in English. Truly an international endeavor! Make sure you check out the super colorful video clip for "Miracle Worker" below and download the song HERE on U.S. iTunes. You can either download a radio remix by Chris Lord-Alge or the Damian "Jr Gong" Marley Main Mix, which I would assume features more of a reggae influence than the Lord-Alge version. The single has yet to make an appearance on the Billboard Hot 100 but it did peak at #14 on Billboard's Triple A chart the week of August 20th. The band's debut album will be released September 19th in the UK via Polydor and on September 20th in the U.S. via A&M Records. Remember back in June when I did a lil post about the Hasselhoff sisters, Taylor & Haley AKA Bella Vida? Well, they've released a video for their catchy dance/pop single "Kiss Kiss Me Bang Bang" and it's cheesy to the max. While definitely a few thousand notches above the video for their Dad, David Hasselhoff's "Jump In My Car," the visual effects in the KKMBB video are low budget. Perhaps I'm looking at this the wrong way. For an indie act, I suppose the video is decent enough. I think I'm being a bit too critical, especially since it should be all about the music and "Kiss Kiss Me Bang Bang" is pretty damn catchy. Definitely too "European" to find much success here in America, but stranger things have happened I suppose. Check out the video for "Kiss Kiss Me Bang Bang" below and download the single on U.S. iTunes HERE.